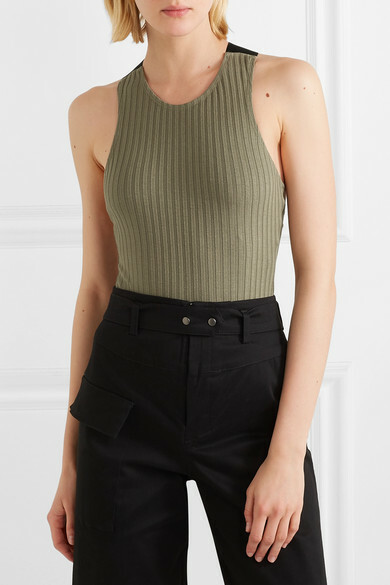 The Range's ribbed-knit bodysuit turns to reveal two wide canvas straps, making it anything but basic. 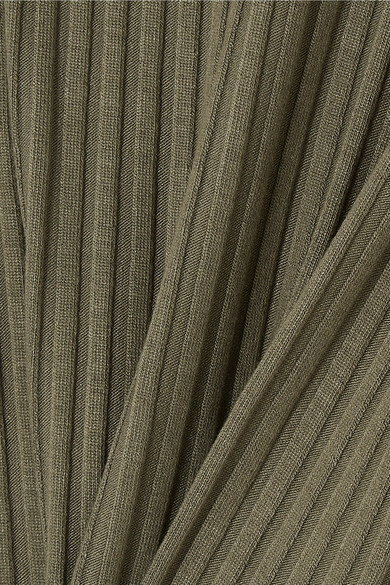 This army-green style is spun for a close fit and fastens with snaps at the base. Wear it with jeans and a slick of '90s-inspired brown lipstick. 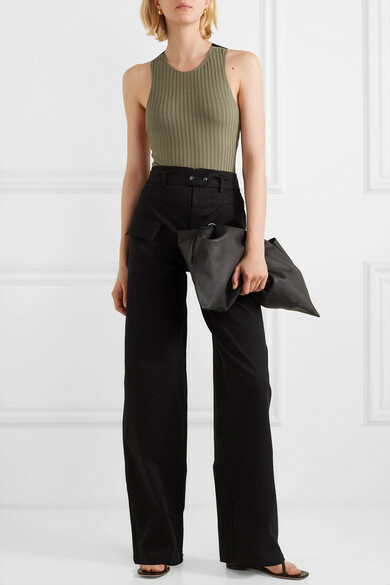 Shown here with: The Range Pants, The Row Shoulder bag, Rosetta Getty Sandals, Sophie Buhai Earrings.